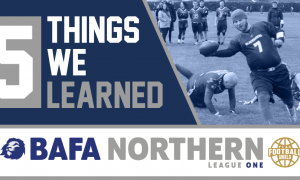 The first week of BAFA league action threw up a few surprises, and a few clear front runners! 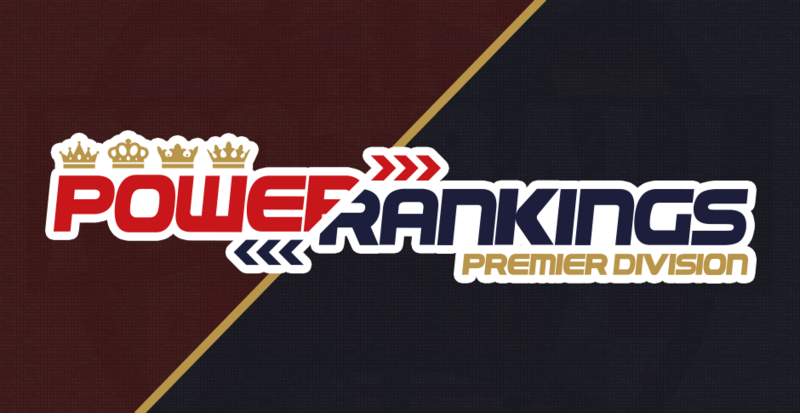 Today we break down the top 10 after one week of action! Too early? Probably! Rocketing up to the top are the Glasgow Hornets. This is mostly due to what we saw take place in the SEC, but we’ll get to that. The Hornets look in mid-season swing already, destroying the Comets and then handling the Grangemouth Broncos. They have strong rotational players, and will have the chance to test their mettle at King Bowl next week. Do we think they’re the best team in the league? Not really, but they have a case. By defeating the Broncos, their task of getting the Britbowl just got a lot more straight forward, as the next time they see the Broncos, they’ll be without GB Lion Kevin Woods. They’re riding a wave of momentum, and will want to carry that into their next fixture against the Aberdeen Oilcats. The London Rebels picked up a huge victory against the Buttonhookers, but move down after their loss against the Victoria Park Panthers. Their defence was picked apart in a big way, as they lost 45-40 in an epic match. Like the Buttonhookers, the Rebels are in a more precarious position than the Hornets, so we’re moving them down slightly. The Rebels, and Buttonhookers for that matter, are two of the most talented teams in the league, and should be feared. But they’re not locks to make Britbowl now after their opening day losses. The Manchester Titans debut in our top 10 at number 4 after their huge 3-0 day in the MEC! 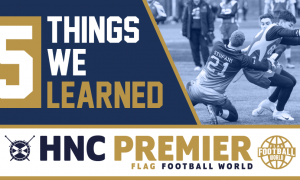 They had a tough win against the Crows, who look to be feisty this year, but it was their exploits against the Sheffield Giants that had us talking. The Giants seemed like a shoe-in for top spot in the MEC after a strong offseason. However, the Titans made them look ordinary, winning 35-12, with the points scored and conceded being the worst the Giants have put on paper since the start of last season. With great players at every position, the Titans will look to build on their opening day of action, and will surely be eyeing a Britbowl berth already. The Hurricanes seized the initiative in their opening game-day, as they hosted a festival of SWC Premier division action. They had the opportunity to field their strongest squad, and they went 3-0. It was all done with relatively minimal fuss, as the the team we expected to top the conference are doing just that at present. We’d have placed them higher, but with the prospect of long travels to their next game-days, we wonder if much of their squad will be present when they take on the likes of the Titans Blue and the SEC heavyweights. Also, once the Birmingham Lions were able to field some more recognisable faces, their game became far more competitive. Granted, the job was done, but that 7-6 second half might be more indicative of where the Hurricanes are right now. The Panthers move up from 10 after their opening day heroics, with their win over the Rebels getting the headlines. This result turned the division on its head, and gave the Panthers a real chance of making the championship bracket. They ended their first day of action at 2-0, after mauling the Reading Lions, and we know they can compete with the teams in the SWC. We’re excited to see how the Panthers season unfolds! Moving down slightly, perhaps harshly, are the Aberdeen Oilcats. The Oilcats went 2-0 in their opening game day, scoring 120 points in process. So why drop them? Well, their QB situation is a quandary at the moment. They have Scott McDonald and Scott Stopani sharing snaps, and while both did well at points during the weekend, we’d give the slight edge to McDonald. The thing, the winner of week one figures to be the Silvercats’ QB, and not the Oilcats’. It’s going to be an interesting situation to monitor as the season progresses, but with this uncertainty, we’re dropping the Oilcats behind some more settled squads. The Oilcats’ season will hinge on their next game-day, as they host the Broncos and Hornets. The Sheffield Giants crash down to #8 after their loss to the Manchester Titans. It isn’t just the manner of that loss that has our eyebrows raised, but it’s their sole win as well, as they squeaked a nervy 2 point triumph over the Vipers. The Giants will be hoping that this was a blip, as they have far too much talent in their midst to be so inconsistent. 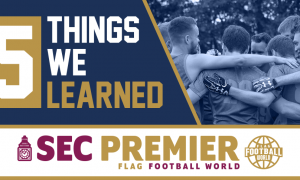 Where they stand in the MEC will likely depend on their next gamely as they face the resurgent Newcastle Blackhawks and the impressive Manchester Crows. The Broncos had a great opportunity to stamp their authority on the HNC, as they took on a Hornets side with some injuries to their lineup. The Broncos looked like the laboured side in the early exchanges, as they faced a 31-6 deficit late in the game. Like the Giants, their lineup is just too talented not to respect. They’ve got GB Lions in their roster, and can put things right when they take on the Oilcats in Aberdeen on their next set of fixtures. The last time these teams faced in the regular season, the Broncos looked a level above the Oilcats. Can they repeat the feat to keep their season alive? We’ll be honest – we doubted the Titans’ credentials going into this season. They had arguably a tougher job with the Aylesbury Vale Spartans coming into the division. You pair that with their new QB, and you had just too many unknowns to be sure about the Titans Blue being the force they were last season. Going 2-0 after the long trip to Cardiff will make them feel a lot better about their campaign. They took down the Spartans with ease, and spanked the Phantoms in emphatic fashion. With the Birmingham Lions looking as poor as they did, the Titans look nailed on for the championship bracket. There’s a couple of notable teams dropping out entirely, or just missing out. The aforementioned Birmingham Lions went 0-3, making their season all about premier division survival, as opposed to winning it all. The Aylesbury Vale Spartans are assimilating to life in the SWC well though, as they picked up a big win over the Lions. The Manchester Crows kept pace with the excellent Manchester Titans in their rivalry fixture, and look like a much better outfit with Sergio De Paco and Talha Javed in the lineup. The Reading Lions had two tough games to open their season, but they didn’t even look competitive as they had a pair of 50-burgers dropped on them. The Newcastle Blackhawks’ demise may have been greatly exaggerated, as they went 2-1 in their first week of action.